Many people are put off glass cutting, fearing it is a technical process that could lead to glass shattering or being damaged. In fact, only a few basic tools are required to achieve a clean, steady cut to make your glass the perfect size! 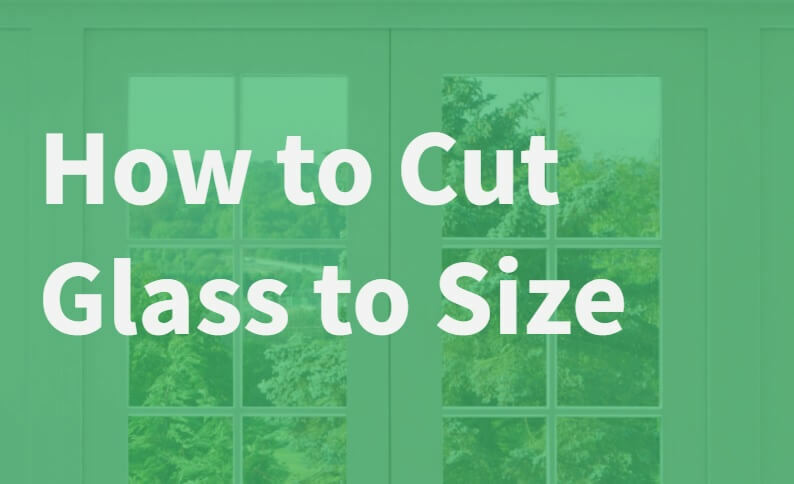 We’ve listed the steps to follow in our guide of how to cut glass. Use either a rag, blanket or layers of newspaper over a smooth work surface. This will ensure there are no bumps that could cause snagging when making the cut. Wash the glass carefully before proceeding – if there are any specks of dirt on the glass, the glass cutter could skip will you are making the cut, leading to jagged uneven edges. Avoid marking the glass unless absolutely necessary – if it is, mark the glass on the reverse side to where the cut will be made. For straight cuts you can use a ruler or yardstick (depending on the length of the glass) and hold it in place using masking tape. Curved cuts can be marked using a template placed underneath the glass. This lubricates the glass cutter, preventing it from breaking and increasing it’s longevity. The oil also helps the wheel keeping turning smoothly when scoring your glass, reducing the chances of it skipping or creating a jagged edge. Draw the cutter towards you in a fluid motion without stopping, with only a moderate pressure. Be sure to apply to same level of pressure all the way to the end, gliding the wheel gently off the edge. You should be left with a clean, even score mark with a smooth line. Using the heavy end of the handle of the glass cutter, tap the underside of the score line lightly, starting at one end and progressing down the line of the cut. With gentle pressure the glass should splinter along the cut line immediately, breaking in two. You should be left with a perfectly smooth, even cut, with your glass now the correct size for your project! Here at Abbey Glass, we’re on hand to cut glass down to size in our professional factory – perfect for those jobs a little too big for the DIY table! For more information, contact our friendly team today, and we’ll be happy to help.